Marketing vs Branding, same difference right! If you have been a part of the online community or own a traditional business then you have heard the term marketing and branding. All the experts tell you that marketing is so important and your brand means everything to your survival in business. But what does that all really mean for the success of your business. In this post I’m going to break down marketing vs branding and how to build a rock solid business with both. 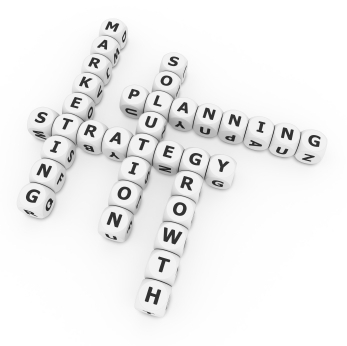 Marketing is about putting in place strategic efforts to attract your target market towards you. Knowing the needs of your target market and using specific and effective strategies will show them that you are a trusted advisor/leader that can solve their problems. Marketing is the first step in building a relationship with your customer or Client base. Branding is the perception your target market has on how you have been marketing. Depending on how you market your business, your target market will start to associate you with a brand based on your tagline and/or logo. The sight or the sound of your brand will automatically make them think of business. In which they may realize they need a service from you or need to purchase a product from you. Because branding is so powerful it’s considered a subset of marketing that works on auto-pilot for you and that is exactly what you want for your business. You Are A Professional Marketer. I don’t if you knew that yet but if you are in business for yourself then marketing is your job. I recently heard a multi-millionaire say that you don’t sell products, you market products that solve a problem for someone else. Because having the best product in the world means nothing if no one knows about. Marketing a message that lines up with what your brand is critical. Because remember branding is not what you say you are but what your target market says you are. To find out the truth about your brand and what’s being said just ask. Ask for open and honest opinions from colleagues, trusted friends and family members that will give you constructive criticism on how you can improve your brand. You could even conduct surveys directly asking your target market key questions. Marketing vs Branding are not the same but they are related to each other like cousins. Both are key components to a rock solid business and both work for you while you sleep. well you hit this on the nail, marketing is skill that has been around for decades and when branding you, you are marketing you to a target. Tanisha, its all about marketing to your target market. Most people are taught to market to everything that breaths and wonder why they are not getting any leads. You niche will make you rich is not just a cute tagline its true! I like the breakdown, clear and concise. Branding is more about perception, marketing is a set of strategies you use persistently to spread the word about your opportunity. You’re right Ryan! Peoples perception is your brand. I appreciate your comment!